Jojo the Dolphin in the crystal waters of Grace Bay Beach. Jojo the Dolphin off of Leeward, Providenciales. Dean Bernal, a wildlife advocate from the United States, visited the Turks and Caicos in 1981 and settled in the islands in 1986. It was during this time he struck a friendship with the dolphin during his daily swims, and his work has greatly promoted the conservation of JoJo, other wild dolphins and general marine conservation in the Turks and Caicos. Jojo the Dolphin at Grace Bay Beach. As JoJo is a wild animal, there isn't any guaranteed location or time to see him. He's frequently seen swimming in the waters off Grace Bay Beach, and in the cays off the eastern end of Providenciales. 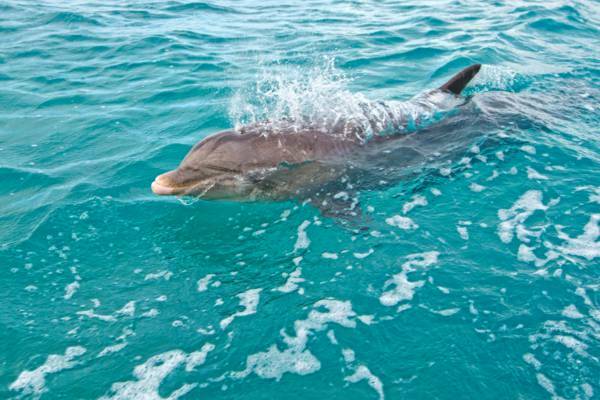 It's easy to identify him beacuse of unfortunate propeller scars on his back, and you'll have a good chance of seeing him if you spend some time boating in the Grace Bay area, but remember, NEVER touch any marine animal or reef, as dolphins may attack if provoked. 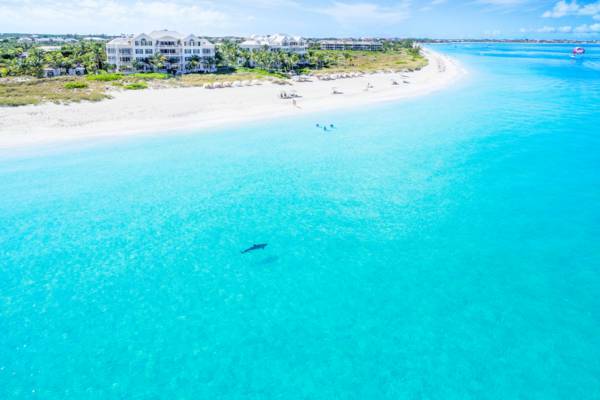 JoJo has become a symbol of marine conservation in the Turks and Caicos, especially with regards to the proposed captive dolphin facilities in Grand Turk and Providenciales. Bumper stickers with 'JoJo says NO to captive dolphins' were widely circulated in opposition to the proposed dolphinariums, and can still be seen on vehicles today. More information about JoJo and Dean Bernal can be found on the Dean and JoJo Story site. Last reviewed by an editor on 23 November 2018.